To mark the one year anniversary of this website, today’s post features an ordinary private soldier, my great-great uncle, G. W. Barrett. Over 80 per cent of the men in my battalion, and at least 80 per cent of the men in any battalion, are workingmen, who should really be the last class to be called upon. The average workingman slaves night and day to get a bare living for his wife and family, but it is the workingman who is giving lustre and glory to the name of Canada. George William Barrett was born in Peterborough, England on 5 November 1897. He immigrated to Canada with his family in 1907 and worked as a labourer in Toronto. 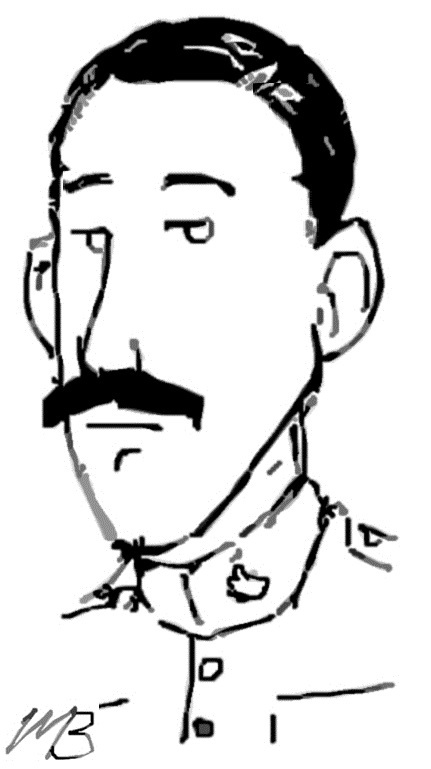 Standing only five-foot-three, George volunteered with the 208th Irish Fusiliers, commanded by York North MPP Lieutenant Colonel Thomas Lennox on 5 April 1916. Several weeks later, his underage brother Harry Barrett enlisted with the 204th Beavers commanded by Lieutenant Colonel William Herbert Price, another Toronto MPP. Lennox praised the working-class composition of his battalion- labourers such as George- but condemned white collared “slackers.” He held special contempt for the “pink tea gentlemen,” students at the University of Toronto, who refused to enlist. Lennox even attempted to have all universities shut down for the duration of the war. George sailed for England onboard the S.S. Justica in May 1917. After the 208th was broken up, he proceeded to France on 16 February 1918, and joined the 102nd Battalion, commanded by Lieutenant Colonel Fred Lister. In April, he was awarded the Good Conduct Badge. On 9 August 1918, a shrapnel fragment struck his forearm and he was taken to a casualty clearing station. Invalided to England, he spent the next two months in hospital. In the interim, his younger brother Harry was killed in action on 30 August 1918 while fighting with the 3rd Battalion. George was discharged from hospital in October, but the war ended before he could rejoin the 102nd Battalion. He later moved to Surrey, British Columbia and worked as a carpenter. He died on 3 June 1981.